Can Motorola Still Be Awesome Without Google? You can make all kinds of guesses about why Google sold Motorola. Did it only want the patents all along? Is it making nice with Samsung? But a more pressing question has been weighing on our minds: "So uh... what about the Moto X?" In a year where more and more manufacturers surrendered to stock Android, Motorola raised the bar with weird but awesome features. And in the face of an army of Snapdragon 800 powerhouses, the Moto X took smaller-scale specs and made them feel super-juiced. It innovated hardware customization in ways that simply hadn't been considered before. It finally made an Android smartphone for everyone. Is that something you can still pull off when it's Lenovo—not Google—calling the shots? Actually, it just might be. While Lenovo's phones have never made it over here to the states, they're nothing to scoff at. We've already seen them crank out the sort of beautiful bodies and attention to design you'd want from the company that just bought the rights to your favorite gadget's sequel. Lenovo smartphones might be new to you, but they're not starting from scratch. The better place to look, though, might be another product altogether. It feels like a distant memory now, but Lenovo bought ThinkPad off of IBM in 2005. At a glance you'd be hard pressed to notice. ThinkPads didn't change dramatically or stop being great; they've just gotten consistently better over the past nine years. Sleeker, slimmer, the kind of device that really owns its niche, all while staying true to legacy. It's a tall order, but Lenovo has proven it can pull it off. That's to say nothing of Lenovo's original Yoga line, which are consistently among the best laptops out there, which sport a smart and simple hardware solution to the challenge of supporting Windows 8 and look good doing it. You can't do that without an appetite for design and innovation, the same combination that gave us the Moto X. Yogas even have that same durable-yet-premium feel. This is something Lenovo knows how to do. But perhaps most importantly Lenovo has proven that it's not afraid to take a risk. When Windows 8 came along it basically forced OEMs to get creative. Some laptops floundered; Lenovo's flourished. This is the company that put a kickstand on a tablet. Maybe that was more zany that it was wise, but the future of the Moto X isn't about what Lenovo's going off the deep end with; it's what Lenovo is willing to let Motorola try. And the answer is hopefully: Whatever it wants. The Moto X is more than just great hardware though. A huge part of its appeal is the terrifically clean software it comes with. Not only does is it free of a hideous Android skin, but it is also mostly free of carrier intrusions. It gives the impression that Moto (or Google) didn't just opt out of bloat; they actively fought it off. Putting that pristine slate in the hands of a PC manufacturer induces some anxiety; most laptops never met a bloatware it didn't love. But Lenovo PCs have historically been less intrusive than par. They are not bloatware free—few things are—but the unwanted additions are generally benign, and while Lenovo clearly isn't leading any charges against bloatware, it doesn't seem to be obsessed with it either. The other good news is that Lenovo's Yoga Tablet—its first big Android push into the United States—falls on the right side of skinning by barely doing it at all. It comes with a few apps, a customized launcher, but no jaw-droppingly horrible changes to the Android running underneath it. And if Motorola's coming in with no extant disgusting skin, it seems out of character for Lenovo to add it. The ThinkPad shows that, historically, Lenovo knows how to respect its adopted children, how to help them be more themselves rather than force a bunch of crap on them. And that's great for the prospect of more, good Moto phones down the line. At least so long as it really is Motorola we have to thank for that phone, and not puppet-master Google pulling the strings. The biggest open question, though, is how much Moto will still be able to not just keep Android clean but to improve on it. Any Google Play Edition handset can offer lovably great hardware and a total lock of extra crapware (for a price). But the Moto X pushed the finish line for Android awesomeness further, skipping over stock and moving on to something better; voice recognition and active notifications are still nowhere to be found in vanilla Android. Even its "turn the camera on from anywhere by shaking" trick is more blessing than gimmick. The open question is: Who was really responsible for those perfect little tweaks and pivots? Who knows. Until now, it's been impossible to really separate the Motorola from the Google. And it might never get easy. While Motorola proper got sold off, Google negotiated to keep Motorola's advanced research unit, headed by former DARPA chief Regina Dugan. 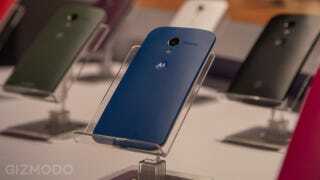 So even if the Moto X was all Motorola, Lenovo's probably not getting the full package. At least not the parts that were moving things forward. 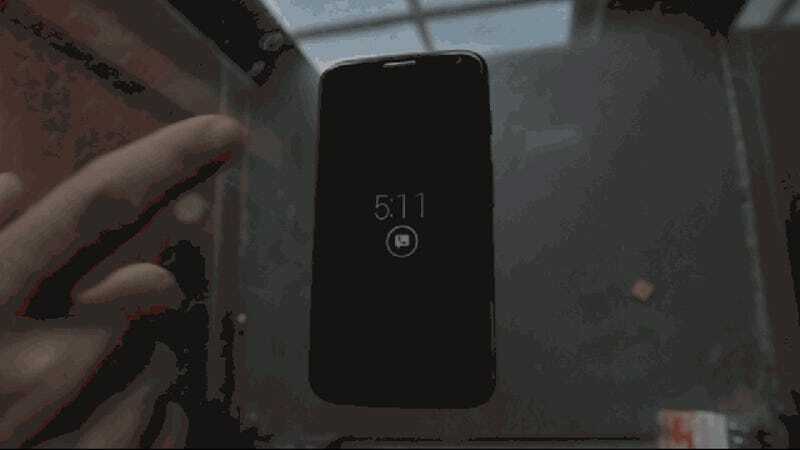 To expect Motorola to pump out another phone that leaps ahead the way the Moto X did is probably overly optimistic. The Moto X represents a very specific—and weird—moment in time for Android, where hardware and software came together for just long enough to charge ahead before the army of Android licensees started to make that alliance seem dangerous. That moment might be over, but Motorola is escaping with a blueprint for awesome, into the arms of a new papa that seems relatively unlikely to try to fix what ain't broke. So can Motorola keep being great without Google watching its ever move? It should be able to keep the lead it has. We're just hoping it also manages to extend it.